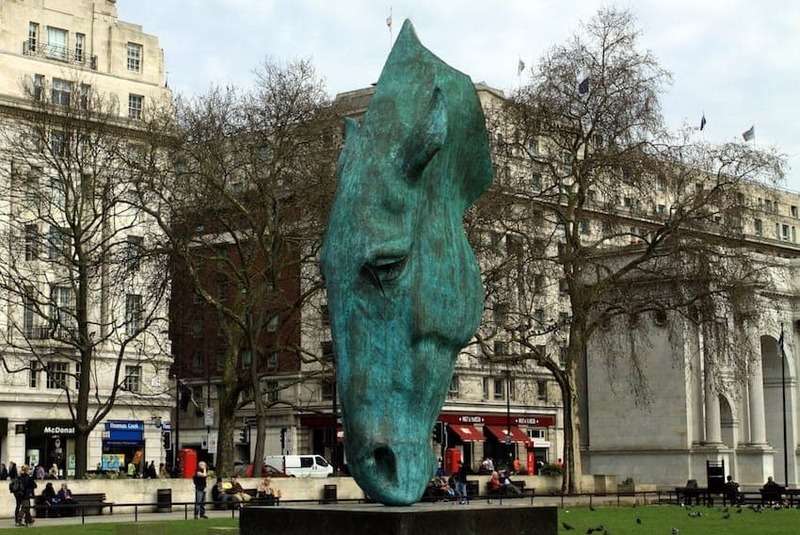 Still Water is a modern bronze sculpture of a disembodied horse's head by Nic Fiddian-Green, located on permanent display at Marble Arch in London. Monumentally sized at 33 feet (10 m), the artist has cleaned it himself, using a cherry picker. Fiddian-Green's inspiration for his lifelong series of horse sculptures came from Selene, of the Parthenon in Athens (now on display in the British Museum). There is no obvious resemblance, other than general balance and form.